The International Association of Fire Fighters Local 140 announced endorsements for Metro’s elections Monday, handing all but one of the five incumbent at-large council members its support. The local fire fighters union has endorsed at-large council members Megan Barry, Tim Garrett Ronnie Steine and Charlie Tygard, but has not endorsed Councilman Jerry Maynard. Instead, the fire fighters have put their backing behind at-large candidates Ken Jakes and Antioch-area Councilwoman Vivian Wilhoite. District 1: Lonnell Matthews Jr.
An anonymous donor from Rutherford County has given 12,626 vintage comic books to Goodwill. The comics are being sold through Goodwill's auction site, http://www.onlinegoodwill.com/ and not in stores. Goodwill's Suzanne Kay-Pittman said that the value of the comics is around $42,000, are categorized and preserved in Mylar sleeves with acid-free backer boards. Some of the comics date back to 1962 and include Superman, Spiderman, Batman and Vampirella. NASHVILLE, Tenn. - There's a whole new way to stay informed about what's going on with Metro Government. 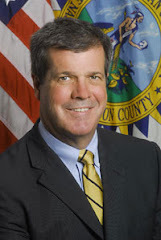 Mayor Karl Dean announced the launch of Metro's new YouTube channel. You can find it on the YouTube site by going to "MetroGovNashville". All future Metro Council meetings will be available on the channel, and users can also view the Mayor's State of Metro Address as well as archives of Metro Council meetings dating back to July first of last year. Metro launched its official Facebook page last year. In the recent Ins and Outs of District 29, I indicated that a location is to be announced. There is a request for a proposed Billboard to be erected at the intersection of Bell and Murfreesboro Road. More specifically, it is an electronic billboard. The applicant's request was denied and now the applicant is appealing the denial to the Board of Zoning Appeals. The Board of Zoning will deliberate the applicant's appeal on Thursday, June 16, 2011. I would not support such a request for the primary reason that this intersection is quite busy and dangerous. I am of the belief that an electronic billboard would be a distraction and could compromise safety to everyone that travels through that area. Nevertheless, I have invited the staff of the Board of Zoning Appeals and the applicant to this meeting to provide specifics and answer questions from the community. or call me at 615.589.2003 to share your concerns. I want to hear from you about this issue or other concerns you may have. Soldier's Funeral To Occur At 3 P.M.
About 15 people with the controversial Westboro Baptist Church in Topeka, Kans., were protesting at the Gordon Jewish Community Center hours before the the funeral of a Nashville Marine on Monday. In a stance of opposition to the church, about 60 people were protesting the church's protest. Marine Sgt. Kevin Balduf, 27, was killed during a firefight in Afghanistan last month. Balduf's funeral is scheduled for 3 p.m. at Woodmont Hills Church of Christ. When protesters arrived, supporters flooded Franklin Road. Police pushed back the crowd and there was a near confrontation in the middle of the highway. In addition to the Gordon Jewish Community Center, the church planned protests at Woodmont Hills and the Islamic Center of Nashville. Members of Westboro feel when soldiers die, God is punishing the nation for its tolerance of controversial issues such as homosexuality. Metro Councilwoman Vivian Wilhoite had plans Sunday to stop future protests in Metro with an ordinance or resolution. "It's unfortunate and I want to see what we can do," she said. "I've asked the council attorney to look at this and see what we can do to show I'm in support, and hopefully other council members are in support, of stopping these types of disrespectful acts from occurring." Recently, the U.S. Supreme Court ruled that prohibiting Westboro Church from picketing soldier funeral is unconstitutional because it violates freedom of speech. Metro Councilman Jason Holleman is an attorney who says there's already a statute that sets distance boundaries for protests. Holleman feels whatever else is decided needs to be carefully considered. "As a lawyer I have to see what the language is and whether it is within our constitutional boundaries," said Holleman. "And if so, then absolutely we want to respect the privacy of that family as much as we can." Officials with the Woodmont Hills Church of Christ have met with Metro Police about the issue. They feel they have a plan in place that will allow Sgt. Kevin Balduf's family an opportunity to bury him with the least amount of disruptions. NASHVILLE, Tenn. -- Flashy ads and digital billboards are nothing new along roadways, but one sign in Antioch is getting some attention. Richardson Outdoor Advertising wants to put up a 50-foot-high digital billboard on Bell Road at Murfreesboro Place. Thousands of drivers go by there every day, but some people say the flashy sign could distract drivers and lead to more accidents. Councilwoman Vivian Wilhoite said the issue goes beyond distraction. “Once you take a look at the intersection, it’s very much comprising as far as what lane you’re in, whether you’re turning left or go straight,” said Wilhoite. The general manager of Richardson Outdoor Advertising said the brightness of the billboard would be monitored. There also wouldn't be any moving figures on the board. A community meeting on the digital billboard will be held Tuesday night. Please attend at 6:00 pm Tuesday, June 14, 2011 at a location that will be announced by tomorrow. Very recently, and working with Mr. David and Becky Waynick, owners of the Gran Dale Manor, I represented them at the Planning Commission on May 26, 2011. I spoke to encourage members of the Commission that the Gran Dale request to continue under the Neighborhood Landmark while operating a law office and events hosting location is an excellent contribution to our community. I spoke to the members of the Commission and prior to the hearing, we invited members of the Planning and Historic Commissions to come out and tour this jewel. The Commission also recognized the importances of this historically restored building and not only approved Mr. David and Becky Waynick's request, but approved it by consent. I cannot say enough how much we appreciate the Waynicks for seeing the vision in that old white house. I am very glad that I did not agree to developers that wanted to do other things at that location. I've always believed that the Gran Dale had so much to offer. Now we will all know thanks to the Waynicks. Be on the look out for an open house for the community. At that time, we will also show our appreciation to Mr. David and Becky Waynick. Some of you have contacted me to ask about the big, big piles of dirt at the old Publix location (across from First Tennessee Bank) on Murfreesboro Road. It's dirt for sale! That right, dirt for sale, according to one of the workers on the site. I understand that the giant wall behind the old Publix building was damaged in the May flood and is now being repaired. The repair required some in depth digging out of soil affiliated with the wall and that is the piles that you see. It's a great time to buy some dirt. 9-10 am. Since elected in 2003, I have held monthly office hours so that you can personally come and talk with me about issues in and around the district. Come talk to me about your concerns. 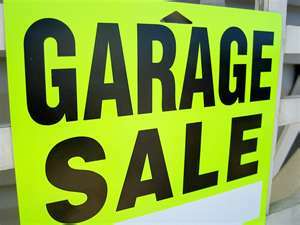 Garage Sale at The Nashboro Grrens Condos"
Time: 7:00 AM to ??? Bachelor of Science, in Business Administration/Marketing, Tennessee State University. Please feel free to Contact Vivian Wilhoite if you have further questions. Dream Centers of Tennessee - "Where Dreams Come to Life"
Metro Action Commission can provide credits for utility bills to Davidson County residents. The office is at 1624 Fifth Ave. N., Nashville, or call 615-862-8860. Information and applications are available on its website, www.nashville.gov/mac. 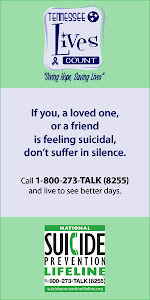 Other resources are available by calling the United Way’s 211 number. Advisers there will get specific information about your needs and eligibility and refer you to agencies and programs that can offer assistance. "Join the A Team..the MNPD"
"Join the A Team .....The MNPD"
What is PUD? Want to find out? All Property on this bog belongs to Vivian Wilhoite. Simple theme. Powered by Blogger.